All of Robert Wyatt’s Lectures are available in 1 hour, 2 hour, half-day or full-day formats. Archival recordings, personal correspondence, documentary videos and colorful PowerPoint presentations accompany each session. 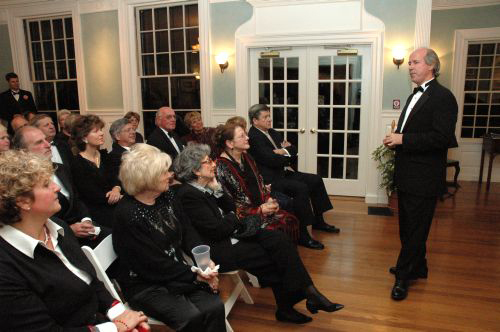 Some topics are available as lecture/recitals, requiring a tuned grand piano. Steinway artist Robert Wyatt delights audiences with a rare blend of pianistic savvy and engaging storytelling that makes each performance a creative event. His recitals have garnered sterling reviews nationwide. 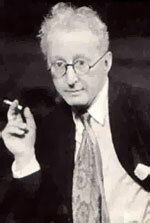 Jerome Kern might be best remembered for Showboat, his epoch-launching 1927 musical, or for “almost” writing the music for Porgy and Bess and Annie Get Your Gun. The irascible Dorothy Parker (“And, oh how I do like Jerome Kern’s music!”) knew him as an enlightened Jazz Age tunesmith and fourteen-year-old Richard Rodgers queued at the Standard Theatre on upper Broadway over a dozen times to be enchanted by Kern’s Very Good Eddie. You will be guided through Kern’s life in New York and California, sixty years that produced over 700 songs in more than 100 works for stage and film. Delight in some of his immortal tunes—”A Fine Romance,” “Smoke Gets in Your Eyes,” “All the Things You Are,” “The Way You Look Tonight”—and enjoy samplings of live piano performance, personal correspondence, film clips and recordings of the masterworks which established Jerome Kern as the musical giant who laid the cornerstone for American musical theater. 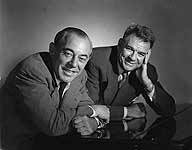 For sixteen years the songwriting team of Richard Rodgers and Oscar Hammerstein II produced a novel brand of musical play which wove book, music, lyrics and dance into a seamless tapestry of near-perfect theater art. Hit after hit flowed from their collective genius between Oklahoma! in 1943 and Hammerstein’s death in 1960: Carousel, State Fair, South Pacific, The King and I, Cinderella, The Flower Drum Song and, finally, The Sound of Music. Through original cast recordings, film clips, interviews, correspondence, and other primary materials furnished by The Library of Congress, The New York Public Library and The Rodgers and Hammerstein Organization, learn about the lives of these two icons of the American musical, experience their great productions, and listen to their music which has kept the American public hopeful through wars, recessions, natural disasters, and political intrigue. His energy was unparalleled, his charisma addictive and the monikers inevitably attached to his name — dilettante, hedonist, snob — were simply tossed off with an impish smile and a shrug while the tunes continued to spin magically from his fingertips. 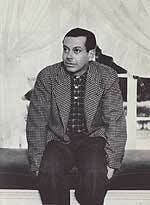 For whatever Cole Porter was as a person, his reputation as a quintessential creative genius has never been questioned. Walk through Porter’s life on Broadway and in Hollywood, 40 years that produced 33 stage shows and almost 20 films. Rare archival film clips and recordings of original cast members, including Ethel Merman, Fred Astaire, Patricia Morison, Gertrude Lawrence, Mary Martin, Frank Sinatra and Bing Crosby, are featured along with Porter himself singing and playing “You’re the Top,” which he was. 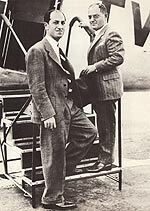 They were a musical dream team: Ira, known as “the jeweler,” was a songsmith with exquisite skills; his brother George was said to have tunes drip from his fingers when he sat at the piano. From their first hit tune in 1918, “The Real American Folk Song (Is a Rag),” through immortal songs like “I Got Rhythm,” “Embraceable You,” and “The Man I Love,” to “Love Is Here to Stay” in 1937 (when George died at age 38) their legacy of more than two dozen scores for Broadway and Hollywood helped establish musical comedy as an American art form. 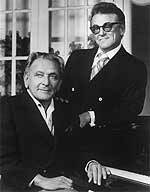 In temperament, personality and background, Alan Jay Lerner and Frederick Loewe were perhaps the most dissimilar of all of the great songwriting teams. Yet together they penned some of the most original and successful musicals written during the Golden Age of Broadway, hits beginning with Brigadoon in 1947 and ending with Gigi in 1973. Between those bookends fell Paint Your Wagon, the blockbuster My Fair Lady which made Julie Andrews an over-night sensation, and Camelot, starring Ms. Andrews, Richard Burton and Robert Goulet in his Broadway debut. Often at odds with each other personally, their resulting music was both inspired and enduring. Learn the origins of immortal songs like “Almost Like Being in Love,” “Thank Heaven for Little Girls,” “I Could Have Danced All Night,” “If Ever I Would Leave You,” and “They Call the Wind Mariah,” explore their film adaptations, while delving into the personal lives of the songwriting team, underscored with correspondence, testimonials and film footage. It was truly a “ragtime to riches” path chosen by the immigrant Russian Jew, Israel Baline. A teenaged waif slumming an existence in the Bowery during the earliest years of the twentieth-century, Irving Berlin, as he was later known, began writing songs without knowing how to read music. A self-taught and rather pathetic pianist, he morphed into a genuine musical icon by the age of 23 and remained the standard bearer for all songwriters until his death at the age of 101. Reminisce while listening to songs that people enjoy humming, masterworks like “Alexander’s Ragtime Band,” “There’s No Business Like Show Business,” “All Alone,” “Blue Skies,” “How Deep Is the Ocean” and many more. You will walk through Berlin’s extraordinary life spanning a half-century of musical achievement, years that produced hit songs for Tin Pan Alley, the Broadway stage, radio, television, film and a worldwide military audience. 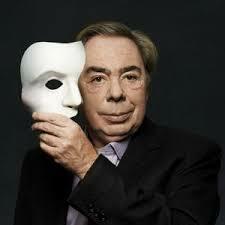 British composer Andrew Lloyd Webber has created a global empire unrivaled in the history of musical theatre. In 1983, he was the first composer to have three musicals simultaneously on Broadway and in London’s West End, a feat he duplicated five years later. The New York production of The Phantom of the Opera, which opened in 1988, is now nearing 12,000 performances and was joined this season by a Broadway revival of another of the composer’s mega hits, Cats. Along the way, he has collected a variety of honors, including knighthood, seven Tony Awards, three Grammy Awards, an Academy Award and the Kennedy Center Honors Award. Songs from his musicals have gone on to wide popularity offstage as well, and his theater production company, the Really Useful Group, is one of the largest operating in London. Interested in classical? Take a look at the informative lectures about the lives and music of Bach, Chopin, Rachmaninoff, Liszt, and many more great composers. With this series, you’ll get inspired by lectures on the history of the piano, Steinway & Sons, or the piano concerto. Discover interesting facts about the Beatles, Elvis, or jazz at the Cotton Club. The newest lectures are on showcase in the Featured Lecture Series. Here you’ll find popular topics ranging from George Gershwin to Bach, Judy Garland to Elvis, and more.